Demand for rental properties in Houston saw a slight increase in May as individuals who lacked either confidence or ability to purchase homes decided to go the way of renting instead. Single-family home rentals increased 19.9% last month according to the Houston Association of Realtors. This increase in rentals, however, came at the expense of home sales, which saw its fourth month decrease in a row. According to Economist Jim Gaines with the Real Estate Center at Texas A&M University, “One of the big issues right now affecting our market is the lack of confidence.” Sales of single-family homes decreased 11.9% since May of 2010. Sales were also down 6.5% on a year-to-year basis. Housing inventory is being affected as well. It would take eight months to sell all the single-family homes currently on the market based on sales activity over the past year according to the recent report. The Houston area has not seen inventory levels this high since 1996. Analysts are also saying that the 2010 homebuyer tax credit has been skewing year-over-year sales data as well. According to Gaines, “We’re still measuring apples to oranges. We’re comparing this May to May a year ago when we had the tax credit.” The federal incentive prompted a spike in home sales during the first half of 2010 that would have normally occurred in the summer. The tax credit concluded in April 2010, though buyers had until the end of September to close. On the other hand, rental activity has been increasing. Housing experts are saying that more people are renting due to the fact that they do not have credit scores or down payments required to qualify for mortgage or that they are unable to sell their homes in other markets. Real estate investor Stephen Davis stated that properties that used to take two or three weeks to find tenants are now being leased in a week. “We’re leasing faster and without having to give deep discounts and free month’s rent.” Davis is the Vice President of Lifestyles Unlimited, a real estate investment club. There are some other reasons for the increase in rentals in Houston. The city has a high number of residents that have recently graduated from college and this demographic is one that typically rents instead of buys. In addition to that, there are also thousands of owners who have lost their houses to foreclosure in recent years and have been forced to lease. However, Gaines has stated that, despite the many obstacles, the market is not as bad as he expected. Prices have remained pretty stable overall and real estate agents are selling nearly as many homes as they did in the early 2000s before the housing boom. The median price for homes in May even increased 3.2% to $157,900. 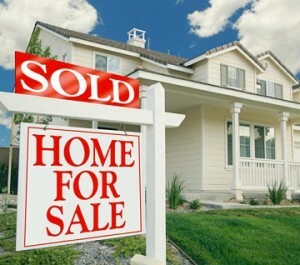 Realtors also sold 5,043 single-family homes in May. The biggest parts of the markets saw double-digit decreases in sales though sales in the under-$80,000 and above-$500,000 segments increased. “If we haven’t hit a total bottom, we’re near it,” Gaines stated. *For more information on technology rentals in Houston visit our Houston Computer / Audio Visual / And Office Equipment Rental Page! This entry was posted in House Rental and tagged Home rentals, Houston, Houston home rentals, Houston Texas, texas, Texas home rentals. Bookmark the permalink.